The Penang Beyond Meetings Itinerary is a specially curated publication, one designed to be handy and attractive guide to the best of Penang’s Experiences Unfiltered. The Penang Convention & Exhibition Bureau (PCEB) launched the latest addition to its line of ‘Experiences Unfiltered’ curations – the Penang Beyond Meetings Itinerary at a ceremony at The Wembley, Penang . Officiating the launch was the Chief Minister of Penang, Lim Guan Eng. One of the main highlight of the itinerary is that it is made flexible where it allows Business Events organisers, meeting and incentive planners and delegates to curate their own Penang experience. With the options made available on the itinerary, Business Events delegates are able to take in much more of Penang without missing any important details. Additionally, the itinerary also includes half-day programmes for those who would like to take in Penang one bite-sized experience at a time. 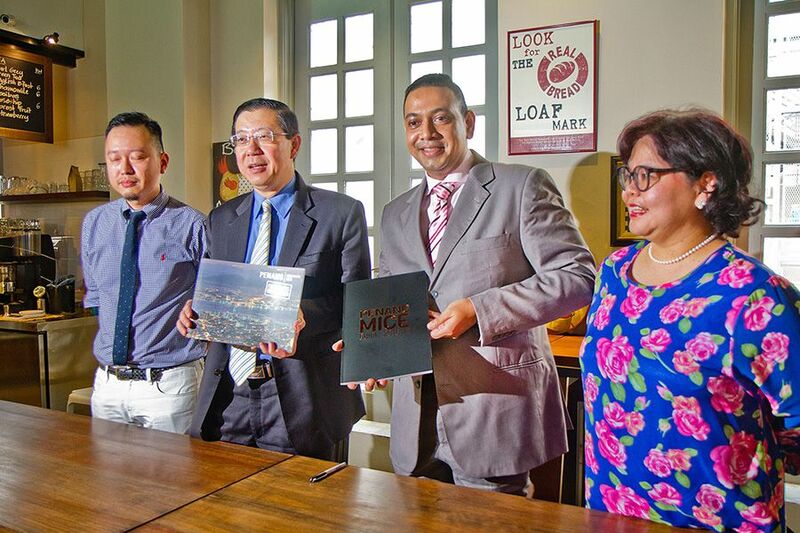 “With the options made available on the itinerary, we believe Business Events organisers, meetings and incentive planners are able to take in much more of Penang without missing any important details,” he added.